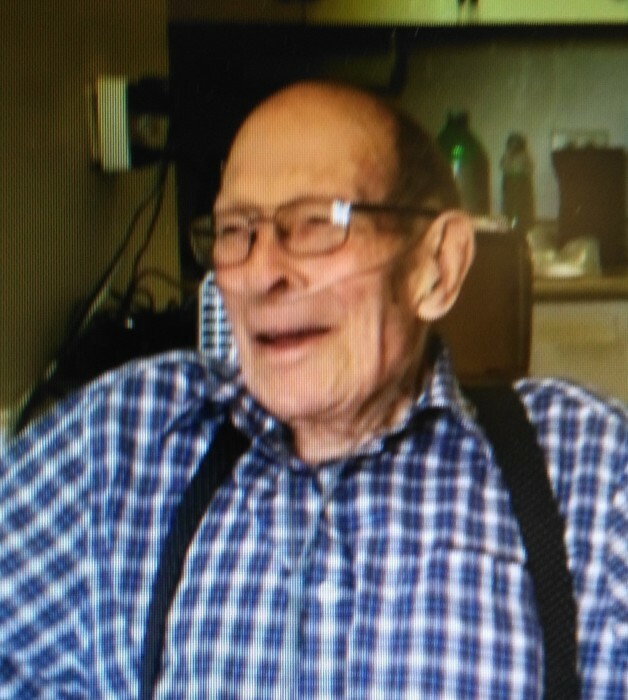 Peacefully on Wednesday February 6th, 2019 at the Portage District General Hospital, Gordon David Reed of Portage la Prairie, formerly of Langruth, Manitoba passed away at the age of 85 years. Gordon was born on September 23, 1933, son of David and Freda Reed of Flin Flon, Manitoba and later moved to Riding Mountain where he went to school and met the love of his life Verla Allan. They were married in August 1955. Gordon worked for Manitoba Hydro and as a result moved to many communities over the years eventually settling in Amaranth in 1962. In 1966 Gordon decided to change careers and became an electrician and started his own electrical contracting business. In 1975 he and Verla sold the business and moved to Langruth where they purchased the Langruth Solo Store from which they both retired. In 2007 they moved to Portage la Prairie. Gordon was a member of the Royal Canadian Legion and also a member of the curling club of almost every community he lived in. He also enjoyed hobby farming with numerous farm animals. Gordon was especially proud of his grand children and always enjoyed their visits especially during summer vacations. Predeceased by his parents and his wife Verla of 52 years. He leaves to mourn his passing his son; Brent (Angie) of Selkirk, granddaughter; Nicole (Patrick) great grandchildren; Lauren, Matthew and Nathan, granddaughter Cheryl (Coby), his son Wayne of Portage la Prairie, granddaughter; Jackie (Sean) great grandchildren; Riley and Jaida, granddaughter; Alana (Dion), great grandchild; Mason, step granddaughter; Vicki, great grandchildren; Connor, Erin and Duncan, step granddaughter; Andrea (Joseph), great grandchildren; Marc and Claire. Also surviving is one sister Eileen Whelpton of Neepawa and one brother Murray (Ada) Reed of Calgary along with numerous nephews, nieces and extended family. A funeral service will be held on Tuesday, February 12, 2019 at 1:00 pm at the Omega Funeral Home in Portage la Prairie, MB. 83 Royal Road S., Portage la Prairie. Following the service a private family internment will take place. Gordon's family wishes to invite you for refreshments and fellowship at the Omega Funeral Home. In lieu of flowers please consider a donation to the Portage District General Hospital Foundation, 524 - 5th St. SE, Portage la Prairie, MB.